With a soft touch of lemons and whites, Amaranthine`s Sweet Love will brighten any day. Filled with a gorgeous mix of seasonal blooms, including the happy gerbera, asiatic lillies, carnations and lush green foliages. Beautifully finished with a spear grass heart. 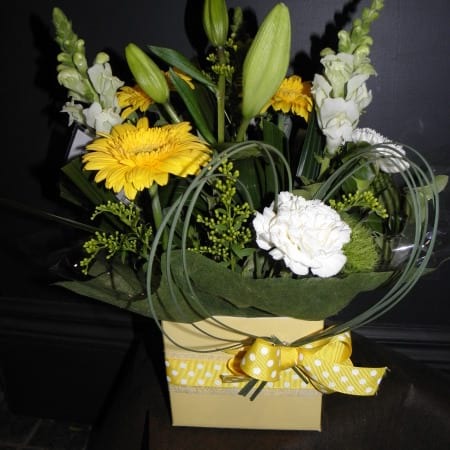 Created by Amaranthine Flowers By Design, Charlestown Square, Newcastle. Same day delivery available to all areas of Newcastle and Lake Macquarie, including John Hunter Hospital, Newcastle Private Hospital, Lake Macquarie Private and the Mater Hospital.